J. A. Baker was born and brought up in the North East of England and Undercurrent was her debut novel, making it into the Top 100 on Amazon. 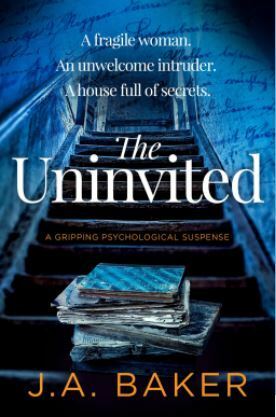 Her other books, Her Dark Retreat and The Other Mother, released in 2018 were Top 100 Bestsellers on Amazon, closely followed by Finding Eva, The Uninvited and more recently, The Cleansing which was released in April 2019. When she's not writing, she can be found pottering around her garden with her madcap dog, Theo.